When people are buying something that’s important, expensive, or risky, they don’t generally do it on a whim. They go through a few stages weighing up options and looking at alternatives. Every step on this journey is one where they could lose interest. By plugging gaps between stages, you will generate and retain more profitable customers. How considered is their buying decision? People don’t typically go from blissful ignorance to paying customer in one great leap. They go through a series of thought processes along the way. The more important or risky that decision, the more this seems to apply. At one end of the spectrum there are buying decisions made in a heartbeat. These are either impulse buys driven entirely by emotion or by logic, but rarely both. Those ‘I just had to have it’ moments, like a bunch of flowers or a chocolate bar. Or, something totally functional, like a pack of envelopes for the stationery cupboard. These kinds of decisions are made quickly and without reference to other people. If you were to ask buyers how they chose their goods in these cases, they probably couldn’t break it down. The further to the right a buyer would place their decision to buy what you’re selling on this continuum, the more complex their thought processes… and the harder your marketing will need to work. Expense: there is a high financial outlay involved or an ongoing commitment. Other people: the purchase affects more than one person. When these elements come together, the buyer has a lot to lose if they get their decision wrong. They are taking a risk. The job of your marketing is to reduce that risk. Most often you’ll see this depicted as a sales funnel to represent a decreasing number of people moving from one step to the next as people cross you off their list at any of these stages. A sales funnel is usually labelled with internally-driven criteria, for example: Audience, Respondents, Leads, Qualified Leads, Proposals, Sales, and Renewals. 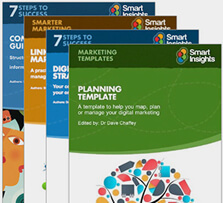 Whilst this might serve a useful internal purpose, it doesn’t help you to plan your marketing. It’s a matter of cause and effect. The labels above are the effect; the thoughts of your buyers are the cause. And, if you understand the cause, you will have more control over the effect. Awareness: They notice that you offer something that could help. Interest: They decide to find out a little bit more. Evaluation: They see if you look credible. Trial: They find out what it would be like to buy from you. Adoption: They become a customer. Loyalty: They keep buying, buy more, and/or tell others about you. Some have suggested that this model is no longer valid given the way consumers now gain recommendations from others by social media. For example, Dan Bosomworth described the growing importance of social media in the McKinsey Consumer Decision Journey. However, this doesn't reduce the value of the classic marketing funnel as a way of businesses to review and improve their marketing. The simplicity of this model as a tool to manage marketing has stood the test of time. The metrics mentioned earlier are the result of a person moving from one thought to the next. 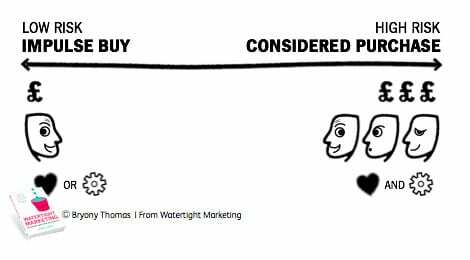 You should substitute these labels with ones that indicate the stage of the purchasing decision in terms of their thinking. 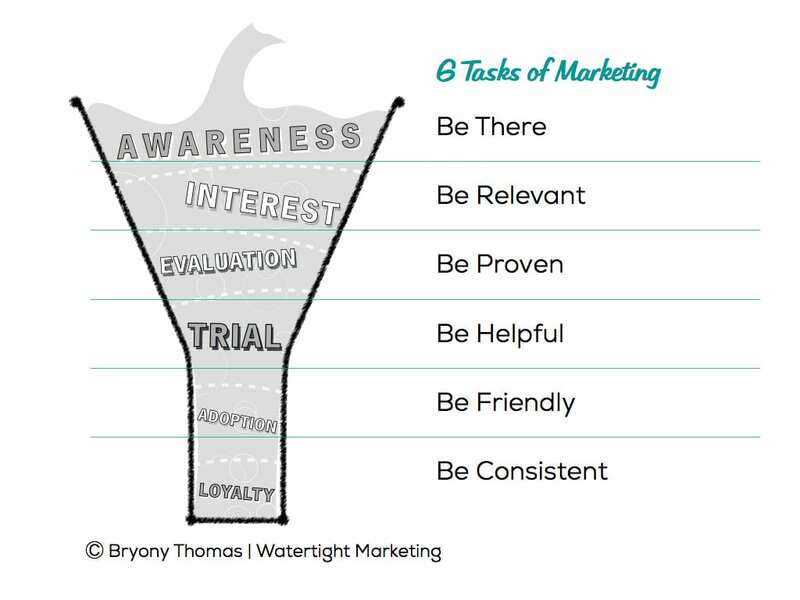 Most businesses see the task of marketing as only filling the top of this funnel. This is a short-sighted view that is costing small businesses millions. Marketing is the whole process of taking your goods or services to market. It’s made up of many different disciplines, each with their own skills and expertise. But, at its core, marketing has six tasks. One for each step in a buyer’s decision. Ask yourself: have I laid a clear path to my door? For each step there is a core purpose or task for your marketing to address. If you put together an integrated set of tools and materials that meet these tasks, more people will make it all the way through. And, you’ll make more money. This is what most people think marketing is all about. It’s getting your name known. For this you need to be there. Find out where your buyers hang out, in person or online, and make sure your business is represented. Imagine that someone knows of your company, and they’ve started to think about buying something along the lines of what you sell. You need to draw them in with something of interest. For this you need to be relevant. Find out the questions they’re asking themselves at this moment. Answer them. Once you’ve gained their Interest, people will start weighing up whether you meet their buying criteria. They’ll be looking for evidence that you can deliver what you say you can. Here, you need to be proven. For every promise you make, you need to provide proof. If you’ve survived scrutiny to the extent that your potential buyer believes that your company is a real contender for their business, the next step is for them to establish a sense of what it would be like if they bought from you. For this, you need to be helpful. 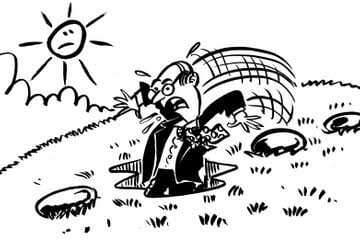 Facilitate some way of your buyer experiencing being your customer before they become one. Buyers will often go with their gut at this critical hurdle. As such, you need to be friendly to ensure that they feel comfortable working with you. This can often be by virtue of your company being known by someone else in their circle. This means that you need to be friendly to everyone who could have their ear. This works like Commercial Karma. consistently doing all of the above. All of the time. If you don’t cover all of these tasks, thereby providing a stepping stone for each thought process, then you are leaking profit. Thanks to Bryony Thomas for sharing her thoughts and opinions in this blog post. She is Author and Founder of Watertight Marketing, and a no-nonsense marketer and business speaker, specialising in helping ambitious small businesses set things up. Her blog post is adapated from her book, an entrepreneur's step-by-step guide to putting a marketing operation in place that delivers long-term sales results. You can connect with her on LinkedIn, Twitter, Google+ or Facebook.